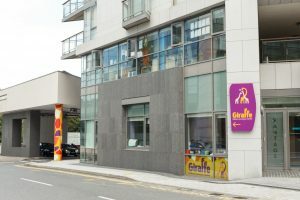 Giraffe Childcare, Central Park, is accessed off the Leopardstown Rd at the same exit as the Clayton Hotel (Formerly Bewleys) and is extremely well located in the centre of a modern office and residential hub, having excellent transport links to the city with the Luas on its doorstep. 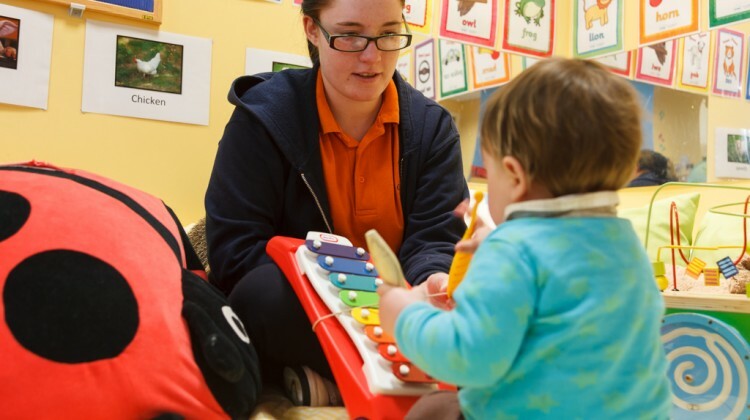 Our purpose designed crèche has 6 spacious rooms, all brightly decorated and arranged to encourage children’s natural curiosity.The crèche has a homely feel and we support the children to learn through imaginative and creative play and they use our gym and exercise room daily. 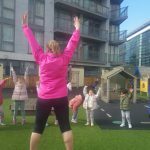 We have a broad curriculum underpinned by Aistear and Siolta which supports each child to learn the skills that they need to develop in to become confident, happy learners. The children also have easy access to our lovely secure outdoor play area for the children to enjoy all year around and we have just planted some vegetables so we are watching them grow! 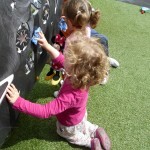 Our opening hours are from 7.30am to 6.30pm, Monday to Friday, all year round except public holidays and we offer full and part-time places and we also deliver the free pre-school (ECCE). 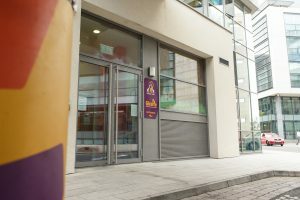 Why not visit us and see for yourself, call (01) 245 2198 and we’ll arrange a time that’s convenient for you. 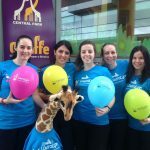 In 2008, I joined Giraffe as a carer in our Rathfarnham centre, and became a centre supervisor there in 2010. Then in 2012, I joined the team at Central Park for the grand opening of this centre! I have recently completed a level 6 Diploma in Early Childhood Education. 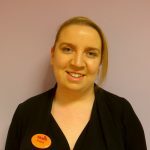 I am passionate about delivering an exceptional childcare service alongside my team in Central Park.